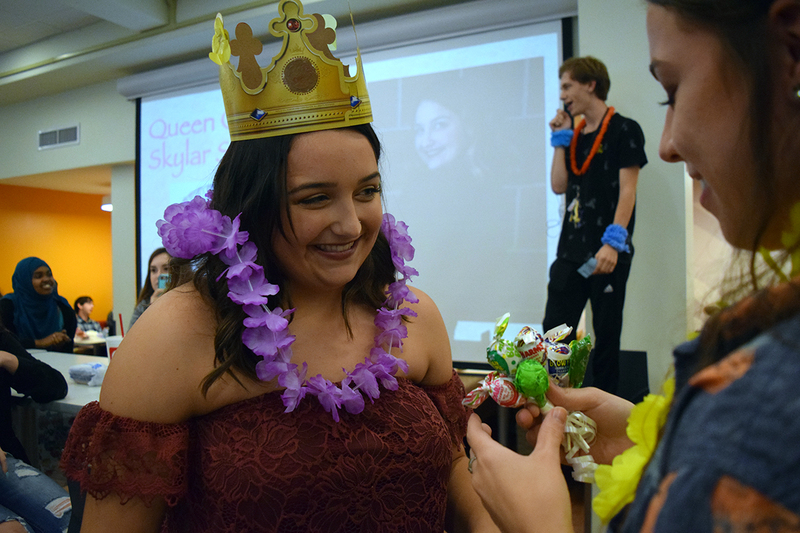 Senior Skylar Seitz smiles as she receives suckers after being announced as a homecoming queen candidate. A: “Get involved. It’s the best way to get to know people.